Two local firefighters will re-trace the route a New York City firefighter took on 9/11 as he ran from a traffic-clogged tunnel to the World Trade Center. 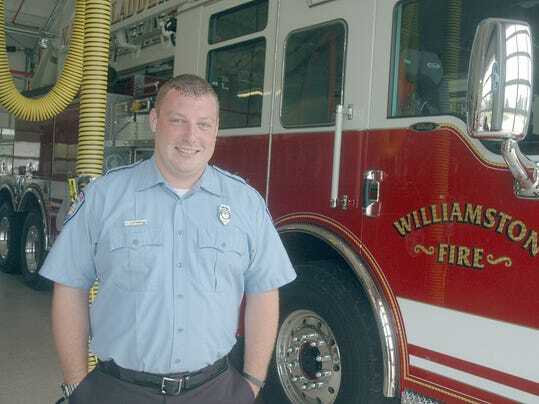 Tim Grant of the Williamston Fire Department and Tiffany Dickerson of the Lansing Fire Department were nominated to take part in Sunday’s Tunnel to Towers 5K in New York City. More than 25,000 people are expected to participate. The event honors the memory of firefighter Stephen Siller, who was on his way home the morning of Sept. 11, 2001 when word came of the terrorist attack on the World Trade Center. With his vehicle stuck in traffic, Siller ran the three miles from the Brooklyn Battery Tunnel to the World Trade Center with 60 pounds of equipment strapped to his back. Siller was one of nearly 400 emergency services personnel to die that day. Many firefighters will run in their “turnout gear,” Grant said. Dickerson, a seven-year veteran of the department, said being surrounded by people who were directly affected that day will have an impact on her. The New York event is one of nine across the country, in Florida, Georgia, Ohio, North Carolina and South Carolina. Proceeds support numerous initiatives, including making homes wheelchair-accessible for injured first responders and service members. Grant and Dickerson were chosen by the Michigan Remembers Foundation, which for the last four years has sponsored the “Run to Remember” each Sept. 11 in Lansing. Grant said he was honored to get the call offering him a spot. Staff writer Kevin Grasha contributed to this report.